Kangana Ranaut’s Manikarnika: The Queen of Jhansi started its Box Office journey on a decent note and has shown tremendous growth during the first weekend. The weekend was in favour of the film and it minted Rs 15.70 crore on the third day of the release. Trade analyst Taran Adarsh took to Twitter and shared the collections of the film. “#Manikarnika has an excellent weekend… Crosses ₹ 40 cr mark after a sluggish start [Day 1]… Kangana’s biggest opener… Delhi, NCR, UP, Punjab and Rajasthan have performed best… Fri 8.75 cr, Sat 18.10 cr, Sun 15.70 cr. Total: ₹ 42.55 cr. India biz. #Hindi #Tamil #Telugu”, the tweet reads. 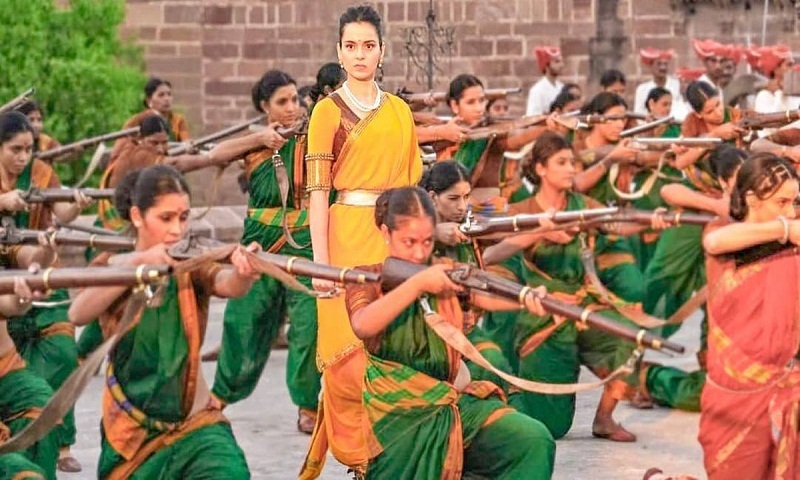 Manikarnika: The Queen of Jhansi had a dull start but the Republic Day holiday helped the film to boost its performance over the weekend. The Kangana Ranaut starrer clashed with Nawazuddin Siddiqui’s Thackeray and has earned a total of Rs 24 crore in three days. Manikarnika is a film that captures the life story of Rani Laxmibai and is directed by Radha Krishna Jagarlamudi and Kangana Ranaut. The film also stars Danny Denzongpa, Ankita Lokhande, Atul Kulkarni, Suresh Oberoi, and Jisshu Sengupta in the lead roles. Produced by Zee Studios in association with Kamal Jain and Nishant Pitti, the movie was released on January 25.